Earlier this month, in an appearance on CNBC, Clay Christensen, the Harvard Business School professor, repeated a prognosis he has often made that a large percentage of American colleges and universities will go out of business in the next few decades. So far, Christensen’s prediction has not shown many signs of coming to fruition beyond a handful of small, private liberal arts colleges announcing plans recently that they will close at the end of this academic year. Even so, for all but the most selective and wealthiest colleges in the U.S.—numbering probably fewer than 500 campuses—the years ahead promise hardships for their business models on several fronts from greater financial needs of incoming students to declining state and federal support for higher education. But the answer to the financial troubles of colleges and universities need not be to go out of business or even merge, as Wheelock College recently announced it would with Boston University. There’s another option and that is to form much deeper academic alliances with other institutions. Collaboration in higher education is nothing new. For much of the last century, campuses have joined together because they are located near each other or their missions are closely aligned (private colleges, Catholic colleges, etc). The most common of alliances, of course, are athletic conferences. But beyond a few cooperative agreements to purchase goods and services together or share study-abroad locations, these consortia have largely failed to produce much in terms of costs savings or truly changing the underlying financial model of universities. Now, a new type of alliance is emerging in higher education that is centered on the need to solve common problems rather than designed around mission or geography. One early version of this new kind of partnership was used to build and deliver Massive Open Online Courses (MOOCs) through alliances like Coursera and edX. Now we’re seeing the development of similar alliances to rethink student success for low-income students (the University Innovation Alliance) or deliver technological improvements in teaching and learning (Unizen). To survive and thrive in the changing environment for higher education, more institutions must move to form deep alliances and collaborative platforms around nearly every function on a campus from academic affairs to career services. Imagine if a group of colleges cooperated more on their back-office functions of admissions beyond just sharing a common application, so that they could focus more on recruiting students. Or what if they shared career services so that a group of small colleges can better compete against larger universities for the attention of companies looking to hire? 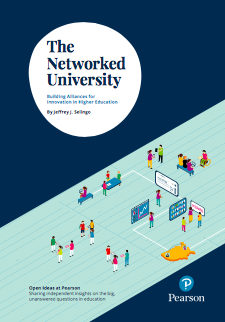 In a paper I recently authored, I called this new type of alliance the Networked University. To imagine how the Networked University might work in practice, it’s instructive to look to another industry that two decades ago faced similar challenges to those confronting higher education right now: the airlines. Although some airlines had the capital to grow or merge, most were hampered in their ability to adopt an expansion strategy. Enter the idea of airline alliances. The so-called code-share agreements have created networks of airlines, with the three biggest being Star Alliance, SkyTeam, and OneWorld. Under the alliance agreements, the airlines cooperate on departure times and routes, share airport facilities, and have reciprocal frequent-flier benefits. Strategic alliances, of course, are not unique to the airlines. Every year, there are about 2,000 new strategic alliances in the world, according to the Boston Consulting Group, and alliances have been growing at a rate of 15 percent annually. What is most needed for this new era is a change in mindset among higher education leaders: they need to stop thinking that the only path forward is one that they take alone. Collaboration in this new era involves colleges and universities coming together as seemingly one institution to change their future direction. Otherwise, Christensen’s predictions about the future of higher education might begin to come true. 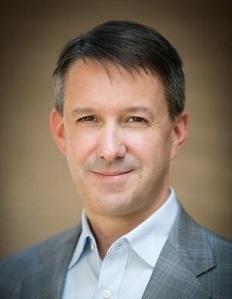 Jeffrey J. Selingo, the author of three books on higher education, is a special advisor to the president of Arizona State University and a visiting scholar at Georgia Tech’s Center for 21st Century Universities.